← Where’s the Added Value? I try to add value whenever I reach out or post rather than just regurgitate some else’s opinion but I came across two articles which I thought merited standing by themselves for your reflection. 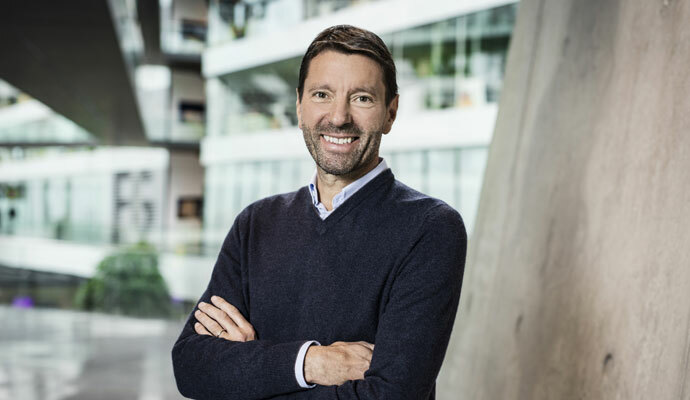 The first article is the new Adidas CEO Kasper Rørsted discussing strategy and the way forward; clearly with the Business Excellence Model in mind. If you’d like to discuss how this might translate into your business and how you would benefit from this perspective, call, I’d be only too pleased to share a coffee. “Think high-profile consumer goods, and sports apparel comes quickly to mind. It has the most memorable slogans, the most famous brand ambassadors, and a rapid-fire, trend-catching production cycle for sleek new products. The sports apparel category is also expected to grow fast, at about 4 percent a year — a reflection of the increasing global interest in health and fitness. The market, with its dizzying array of custom footwear, is set to have annual sales of nearly US$190 billion by 2020. Rørsted, originally from Denmark, is an avid athlete who once played on his country’s national youth handball team. Now, with the motto “Through sport, we have the power to change lives,” he is positioning Adidas as a globally influential enterprise. The Adidas strategy — speed, a focus on a few trendsetting cities, and open source innovation — was introduced in 2015 by Rørsted’s predecessor, Herbert Hainer, who had retired after running Adidas for 15 years. Rørsted continued promoting all three strategic priorities, and focused on execution. On his watch, Adidas reorganized its operations and launched two innovative “Speed factories,” or rapid-production plants making customized athletic shoes, in Ansbach, Germany, and Atlanta. Its roster of celebrity partners includes musicians Kanye West (whose Adidas line has persisted through all of his public ups and downs) and Pharrell Williams, and designers Stella McCartney and Alexander Wang. Rørsted is also putting in place innovative management practices, including one of the few comprehensive employee stock ownership plans introduced by a major company in recent years. RØRSTED: The world has become much more open than it’s ever been. Trends with origins in the big cities have a fundamental global impact, fuelled by the reach of digital devices. When something occurs in Shanghai or New York, kids all over the world see it immediately. This means that we can focus our marketing in just a few of the world’s major cities. RØRSTED: How do we enable our supply chain to respond to rapid changes in consumer demand? Our supply chain had been more rigid than most. That meant the demand forecasts for any given item were always wrong — either too high or too low. Now we use technology to speed up our operations. We built our two Speed factories, in Germany and Atlanta, using digital technologies like 3D printing to enable faster production and get closer to a real-time supply chain. RØRSTED: Eventually, yes. But the difference between us and a car manufacturer is that last year, we manufactured a billion products and 400 million pairs of shoes. For some of those, we are getting closer and closer to making them to order. In a Speed factory, with 3D, the order-to-deliver time can be days instead of months. But that is not at volume. At high volume, we’re currently in a 30- or 60-day time frame. And if we see demand picking up, we need to be able to change our volumes. RØRSTED: You’ll see that technology coming up more and more, but consider the numbers. We made 402 million pairs of shoes in 2017. Our Speed factories, when they are fully running, will make 500,000 pairs each, annually. Local pop-up factories will happen, but they will be marginal in the bigger picture. I don’t think new competitors or private labels will be a threat for branded athletic wear. People still want the three stripes and the swoosh, and I don’t think that will change. Ulrich Störkis chairman of the management board for PwC Germany and a partner based in Frankfurt. Nadia Kubisis a director with PwC Switzerland and global director of the Capabilities-Driven Strategy and Growth platform. Art Kleineris editor-in-chief of strategy+business. My thanks to PWC Germany for the Article. This entry was posted in Business Excellence, Business Management, Business Plannng, Business Strategy, Managers Toolkit, Strategy. Bookmark the permalink.